They're on the rise, but RDs can help parents keep their kids healthier and safer. No one—not the instructors nor the textbooks—mentioned food allergies when Ellen Karlin, MMSc, RDN, LDN, FADA, was studying for her master's degree in nutrition in the 1990s. "It wasn't a diagnosis that was recognized," Karlin said in April at the Pennsylvania Academy of Nutrition and Dietetics' annual meeting in Bethlehem, Pennsylvania, during her presentation called "When What's on Your Plate Makes You Ill." Today, Karlin is the nutritionist for Lawrence Schieken, MD, a pediatric allergist at the Comprehensive Asthma and Allergy Center in Owings Mills, Maryland, and is busy helping families with food allergies. Karlin had to learn about pediatric food allergies quickly, because they're on the rise. Because Schieken's practice is one of few that specialize in pediatric allergies, patients often drive three to four hours to see them—from Pennsylvania; Virginia; Washington, DC; and beyond. Food allergies in children have risen about 50% between 1997 and 2011. One in every 13 children under age 18 in the United States has food allergies, according to the nonprofit organization Food Allergy Research & Education, which provides tools and resources to the millions of Americans who suffer from food allergies. Karlin has heard some experts say it could be as many as one in 10, or two in every classroom. "Back in the 1990s, I remember when my patients would be the only one with a food allergy in their entire preschool or high school," she says. Food allergies are the highest in children under age 3. Some outgrow their allergies but many don't, Karlin says. Sherry Coleman Collins, MS, RDN, LD, a consultant in private practice in Atlanta, says it isn't just food allergies among children, but all allergies that are on the rise. "Food allergies are generally recognized to be part of the allergic march," she says. "An allergic march is when a child is born and has a predisposition to some skin disorder like eczema. That child is at higher risk for developing other types of allergies and asthma. He may go on to develop environmental allergies and, from there, food allergies." As an RDN, Collins says one of the most common questions she's asked is to explain the increase in food allergies. No one knows for sure but theories abound. The hygiene hypothesis is one of the leading theories, Karlin says. The hygiene hypothesis states that our excessive cleanliness, especially in the Western world, has given our immune systems little to do. When kids aren't exposed to dirt and germs, their immune system looks for other work and so it attacks some ingredients in the foods they eat. Another theory is that the manner in which food is processed or consumed plays a role. For example, allergies to peanuts have doubled in the last decade in the United States. Peanut allergies are much lower in China where peanuts are boiled rather than roasted. Boiling doesn't alter the protein in peanuts the way roasting does. "Similarly, people who might not be able to tolerate milk/dairy, might be able to tolerate it in baked items," says Vandana R. Sheth, RDN, CDE, a dietitian in Los Angeles and a spokesperson for the Academy of Nutrition and Dietetics. Another possible cause of the increase in food allergies is the advice on when to introduce children to common allergic foods. Until 2000, parents had been advised to delay introducing their children to dairy products until age 1, eggs until age 2, and peanuts, nuts, and fish until age 3. Even that advice has changed, Collins says. Updated guidelines from the American Academy of Pediatrics and the American Academy of Allergy, Asthma and Immunology say the evidence doesn't support withholding these foods from babies beyond 4 and 6 months as a means to prevent food allergies. In fact, Collins says timely introduction may play a role in preventing them from developing allergies. The rise in food allergies also may be attributed to better reporting and more frequent testing, Sheth says. Thanks to greater awareness of food allergies, "we're all more likely to be able to identify and report symptoms, and also get a potential food allergy tested if it's suspected." The increase being reported today could be because the baseline was "underestimated due to the lack of awareness, reporting, and testing," she says. 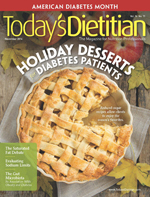 With food allergies increasing and advice constantly evolving, dietitians have much work to do. "I see it as a greater opportunity for nutritionists to help people better meet their nutritional needs and, more importantly, have a better quality of life," Sheth adds. Karlin finds most parents who come to her know what foods to avoid. Eight foods account for 90% of food allergies in the United States: peanuts, tree nuts (almonds, cashews, walnuts), milk, eggs, wheat, soy, fish, and shellfish. Since 2006, manufacturers have been required to label foods containing these major food allergens in plain English. The Food Allergen Labeling and Consumer Protection Act requires that these ingredients be listed if they're present in any amount. Parents typically know what foods to avoid, but they don't know what foods to substitute, Karlin says. "As nutritionists, we have to help parents come up with foods these kids can eat. All my parents know if their child is allergic to milk, he needs calcium, but not what other good sources are." RDNs also need to advise families on how to handle grocery shopping and mealtimes when one or more family members have food allergies, Karlin says. She recommends that, if possible, the entire family eliminate the allergen from their diet. "If a kid is allergic to eggs and can't have any, he's going to point to mom's food or dad's food or a sibling's food and want some too," she says. "There's research that shows it's very frustrating for the child with a food allergy." Karlin also advises parents to be vigilant when their child has a food allergy because exposure could send them into anaphylactic shock, which can be fatal. At work, she says, her role is to be the go-between for families and the physician. "When the doctor tells the families about their children's allergies, I can answer their questions and reinforce what the doctor tells them," she says. Sheth agrees dietitians need to be a valuable resource for families coping with food allergies, especially today. Parents of children with food allergies can be quite overwhelmed and scared, she says. "It's important to validate their feelings and understand where they're coming from, but also to help them identify practical ways to meet their child's nutritional needs without significantly more work." RDNs need to offer parents tips for grocery shopping, reading food labels, and planning snacks and meals at home and at school. They also need to offer parents ideas for parties and other celebrations and eating out. A good way for dietitians to help families with food allergies is to role play with them, Sheth says. "That way, the child, the parents, and other adults know how to respond in different social situations around food." Dietitians also need to educate parents about managing a reaction if their child is inadvertently exposed to a food to which they're allergic, Collins says. Parents need to know how to use an epinephrine auto-injector and how to call for help before they're faced with an emergency, she says. That's often a good place for an RDN to start when working with families.